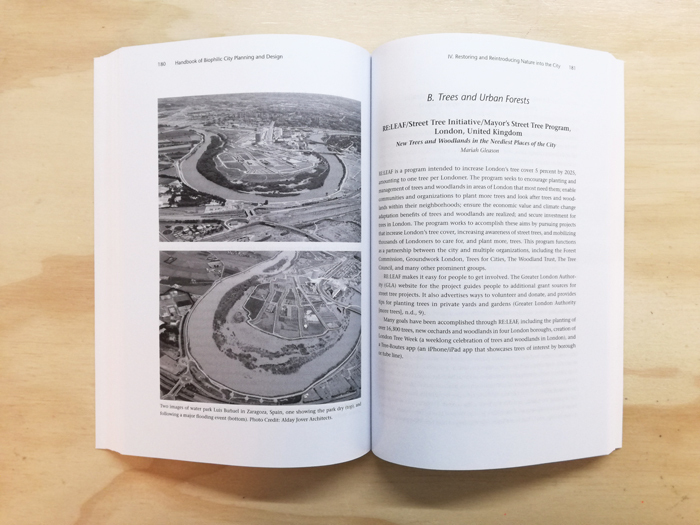 so promotes well-being and creates an emotional connection to the earth among urban residents. 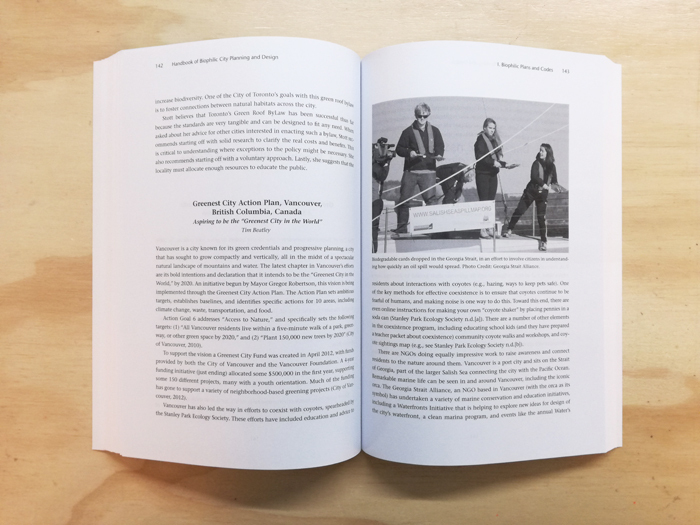 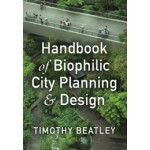 Divided into six parts, the Handbook begins by introducing key ideas, literature, and theory about biophilic urbanism. 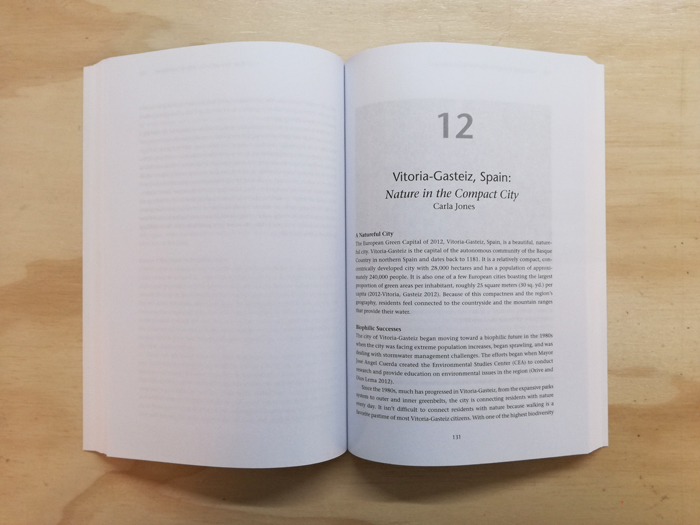 Chapters highlight urban biophilic innovations in more than a dozen global cities. 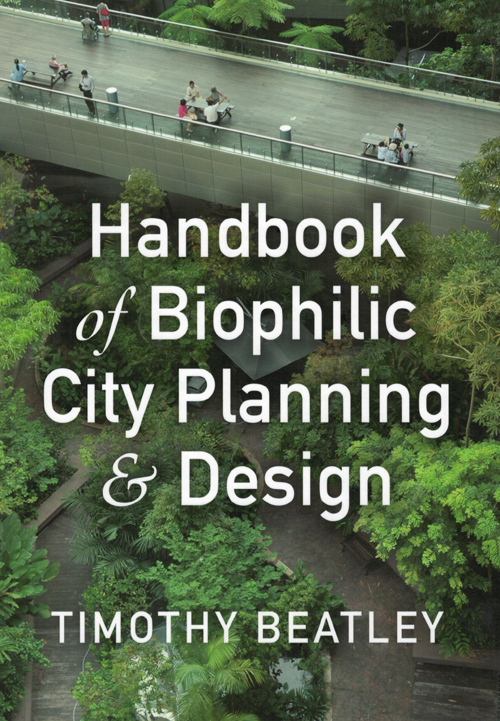 The final part concludes with lessons on how to advance an agenda for urban biophilia and an extensive list of resources.